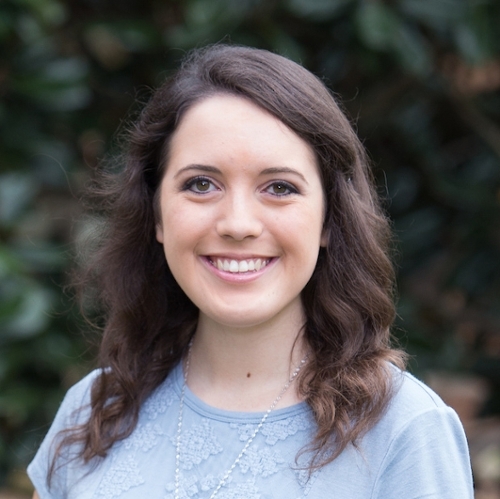 Samford University history and University Fellows honors program alumnus Keely Smith ’18 is one of only 51 national Phi Kappa Phi Fellows named in June. The $5,000 award from one of the nation’s the oldest and most selective academic honor societies will help support Smith in her first year of study in Princeton University’s Ph.D. program, where she earned a full scholarship to study Native American folkways. “Samford's history department and the University Fellows program were incredibly influential in inspiring me to pursue a Ph.D. and gave me the support I needed through the application process,” Smith said of her Princeton scholarship. The latest honor confirms her outstanding promise as a scholar. Sansom noted that Samford students have a remarkable record of Phi Kappa Phi honors in recent years. French and Global Studies double-major and University Fellow Mia Owens is studying in the Samford In France program this summer thanks in part to a Phi Kappa Phi Study Abroad Grant. English, classics and University Fellows alumnus Stone Hendrickson was named a Phi Kappa Phi Fellow in 2017. Physics, philosophy and University Fellows alumnus David Bayless ’15 was named a Fellow in 2016. Physics and University Fellows alumna Stevie Carnell ’14 earned Phi Kappa Phi’s Hohenstein Fellowship as the top nominee in the Southeast in 2014.